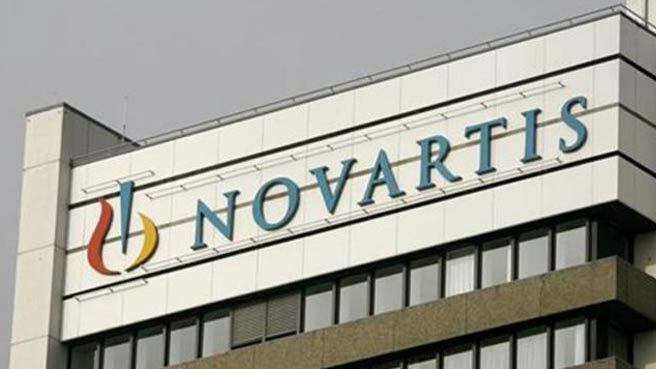 The Swiss pharmaceutical giant, Novartis recently made news worldwide, for the rejection of its patent application over a cancer drug, called “Glivec” by the Indian Supreme court. The judgement triggered reactions from all over the world. Questions are being raised about the credibility of the judgment and India’s commitment towards protection of Intellectual property rights. Many viewed the judgment, being based more on populist ideas and less on merits. The Supreme Court nowhere in the judgement mentioned the rights of the patients to access affordable medicines and rejected the patent application solely, on the Novartis failure to fulfill the efficacy test laid down in section 3(d) of the Indian Patents Act. This is more evident from the fact that the Supreme rejected their plea, on the grounds of section 3(d) and not Section 3 (b) which prohibits patents that offend public order and morality, which was one of the ground taken by IPAB for the medicine being ridiculously expensive. In this article, we would see that the case was purely decided on merits and within the boundaries of patent regime in India. Any criticism or appreciation must be based on facts and not on vague ideas. Novartis patented Imatineb, an anti-cancer drug in the USA in 1993.Till 1995, India refused to patent drug molecules. In 1997, Novartis filed an application for patent over “beta crystalline form of Imatineb mesylate” (Glivec). India in compliance with its WTO commitments, made amendments to its patents law in 2005 and allowed patents for drugs but only for innovations after 1995.In 2006 the patent controller rejected their application on the ground of section 3(d) of the Indian Patent Act, 1970.The provision aims at “ever greening” by preventing the grant of a patent for the new forms of a “known substance” unless increased “efficacy” can be established. In 2013, the Supreme rejected their application on the same grounds. The Supreme rejected the patent application on the ground that the Novartis failed on the test laid down under section 3(d).Glivec is only, a new form of a known substance, Imatinib mesylate and there is no enhancement in efficacy. Two important concepts, on which the whole case revolves around, are efficacy and the known substance. On the question of efficacy, the court interpreted the term as therapeutic efficacy. The court held that “the test of efficacy would depend upon the function, utility or the purpose of the product under consideration. Therefore, in the case of medicine that claims to cure a disease, the test of efficacy is only therapeutic efficacy”. Increased bio availability alone may not necessarily lead to an enhancement of therapeutic efficacy and any such enhancement must be specifically claimed and established by research data. Novartis did not file any such data, which showed the effects of bio availability on the therapeutic efficacy of the drug. The claimed invention Glivec only “stores better and easier to process”, over the known substance, Imatinib mesylate. The court held that these properties could not contribute to increased therapeutic efficacy. To calculate this enhanced efficacy under section 3(d), it is to be compared with the known substance. Novartis sought comparison with “Imantinib free base” whereas the other side with “Imatineb mesylate”. The Supreme Court went with the latter, taking note of the fact that the immediate preceeding substance of the patent product Glivec is Imatinib mesylate and not Imatinib free base. Novartis itself described Imantib mesylate as a necessary step to produce Glivec. To conclude, Novartis failed to establish required increment in the efficacy of the new substance Glivec over the known substance, Imatinib mesylate under section 3(d) of the Patents Act. The court made it clear that, the section does not bar all incremental invention but only those, that doesn’t fulfil the efficacy test.  Is the judgement anti-innovation? The answer to that would certainly be “NO”. Contrary to this, the judgment is in fact, pro innovation and it only shows higher standards of patentability in India. Only genuine innovations would be appreciated and India strongly condemns the practice of ever greening. The sulking Novartis and it’s response to the judgment, though obvious, is arrogant in tone when it said that “the judgment discourages innovative drug industry”. It further called it to be “India’s growing non recognition of TRIP’s”. These statements by Novartis cannot be taken as true considering the fact that, India amended its Patent law in 2005, in compliance with the TRIPs agreement and provided for product patents in the pharmaceutical products. Before accusing India for disrespecting intellectual property, Novartis should not forget the fact that India has granted at least 219 patents to Novartis in the Pharmaceutical field and is the third largest beneficiary of patents registration in India. India’s commitment towards IPRs protection should not be questioned only on one such rejection. It’s true that the pharma companies make huge investments in their R&D and they have to cover their cost but if we look at the facts of this case, the Indian market constitutes a very tiny fraction of the global market. Big Pharma companies receive major part of their revenues from the west and most of the R&D is covered from these markets alone. Moreover, most of the Pharma companies (including Novartis, in the present case) do not disclose, the actual investment made in their R&D and include their marketing cost in their research cost. These companies must disclose their actual investment cost then only a clearer picture would emerge. Along with this, there is an interesting but lesser known fact in this case. Novartis did not finance the entire finance that led to the discovery of Glivec in 2002. A big chunk of investment was funded by the National Cancer Institute (NCI), a division of the National Institutes of Health (NIH), which is a public institution, in the United States. Considering this, Novartis should stop making such a huge cry over its R&D investments and concentrate more on its future patents.  Bio availability: Increased ability of the drug to dissolve in the blood streams of the patients. Previous ArticleCall for Papers: ITMU Seminar on ‘Emerging Challenges in International Law’ [May 18]; Submit by April 15.